Mar 14, 2019 Lostboy! T Shirts When we raided Jim's store recently, we also liberated some T Shirts. From the Lostboy! 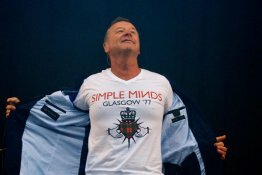 AKA Jim Kerr Electro tour in 2010, we think they're far too good to hide away! Mar 1, 2019 Promos and Rarities We've just raided the archives and found some rare and precious stock, including numbered promos, out of circulation CD's and enhanced DVD's. We'll be adding these to the shop next week, so make sure you drop by and don't miss out on your chance to grab some great collectibles! Limits will apply. 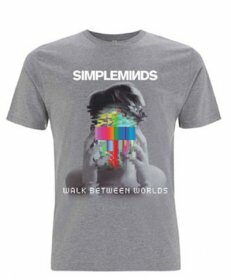 Jan 25, 2019 Simple Minds Rejuvenation 2001-2014 – 7CD+DVD box set Available to order now, Simple Minds Rejuvenation 2001-2014 – 7CD+DVD box set is released on the 29th March. Along with 7CD's, the DVD features the ten rare single promo videos from these albums, along with the even more rare EPKs made for the albums’ promotion. Sep 21, 2018 Grandslam Tour Merchandise All the Grandslam tour merchandise is now available for sale, including our tartan heart V neck ladies t shirt and the new summer tour t shirt as worn by Jim! 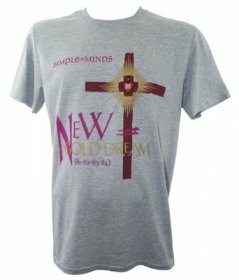 © 2017 - 2019 Simple Minds. All rights reserved.